When we began this nonprofit organization ten years ago, readers in all demographics did not have access to authors. This access was our aim, our mission. 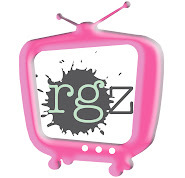 The founders of readergirlz were driven to make those connections around the world. And we did. Beginning in Myspace, traveling to Blogger, Facebook, and Twitter, readers connected directly with young adult authors. One such memory: midnight, October 31, 2008, readers around the world chatted with Stephenie Meyer, and we sat back with glee. Whether a best seller or not, we brought diverse books to the spotlight, including the quiet and profound, such as No Laughter Here. Our second passion over the ten years has been to get books into the hands of underserved teens. Readergirlz dropped hundreds of thousands of books to teens in hospitals and on Tribal Lands with the help of amazing partners like YALSA, First Book, and If I Can Read I Can Do Anything. Around the world, readergirlz celebrated Support Teen Lit Day and Teen Read Week by leaving young adult books in public places to be found by other readers. Operation Teen Book Drop and #RocktheDrop brought joy to many. Our motto has been: Read, Reflect, and Reach Out. We have done that together. At our busiest, there were 30 volunteers from across the industry giving their time to books that featured gutsy girls and to the gutsy readers themselves. Librarians, teachers, booksellers, bloggers, and authors gave generously. Our funding was from our own pockets, libraries and schools who generously donated, and award money we garnered from The James Patterson PageTurner Award and The National Book Foundation's Innovation in Learning Prize. We never sold ad space to remain unbiased in bringing the best literature forward to you. In ten years, we have seen girls graduate high school, enter the workforce, go to college, pursue master's degrees, marry, and have children. Together, we mourned the passing of one of our dearest. We miss her still. Readergirlz, you have encouraged one another and motivated authors to keep writing. Some of you have grown to become writers yourselves. And we are so happy for you! You are gutsy women, strong citizens, and it is an honor walk beside you. In light of the ease and accessibility today to find, follow, and enjoy connections between authors and readers, the co-founders, divas, and support team are returning to their own work fully, ending readergirlz. Many former contributors will continue to write the very best books for the very best readers, young adults. The readergirlz website will be active through the end of 2017. The blog is complete, archiving our past, and it will remain accessible but not active. As an aside, I, Lorie Ann Grover, will keep the readergirlz facebook page open as I love occasionally sharing what crosses my desk and having a touch point with you in the future. So, raise a book, to what we created together, rgz. It has been an honor to read together, reflect together, and reach out together. I speak for all who worked in our organization over the 10 years: we love you so, and we will see you soon. In person or on page. Calling all design students, illustrators, or those who want to understand more about visual composition. 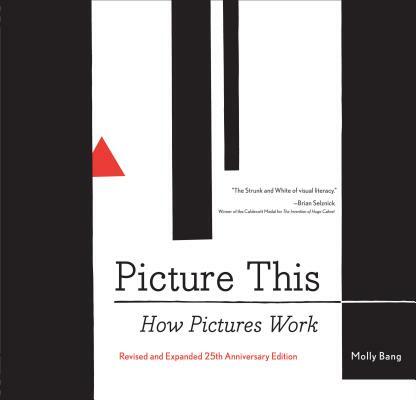 Chronicle Books released a revised and expanded 25th Anniversary Edition of Molly Bang's Picture This, How Pictures Work. Brian Selznick calls the work, "the Strunk and White of visual literacy." Leonard S. Marcus calls it, "a peerless handbook and guide for anyone who wishes to make picture books." Molly's book grew organically out of her quest to understand picture structure. She first tested the concepts successfully with 8th and 9th graders and then adults. With input from Rudolf Arnheim, the dean of the psychology of art in the United States, the book took its illuminating final form. Dive into this perfect work and see the connection between shapes and emotions. You'll be ready to build the emotional content of your own imagery with a book you will reach for again and again. 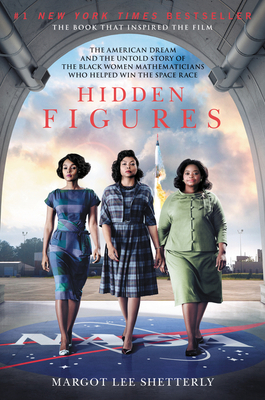 If you get a chance to see the movie, follow up with the book: Hidden Figures. 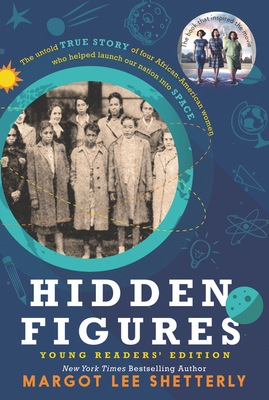 Or if you miss the movie, be sure to grab the adult nonfiction or young reader's edition and get to know these gutsy women mathematicians: Dorothy Vaughan, Mary Jackson, Katherine Johnson, and Christine Darden. "The contributions made by these African-American women have never been heralded, but they deserve to be remembered--and not as a side note in someone else's account, but as the center of their own story. These women should be celebrated not just because they are black or because they are women, but because they are an important part of American history." So ends Margot Lee Shetterly's prologue in the Young Readers' Edition. Be ready to be inspired by intelligent women who strode through the Cold War, the Civil Rights fight, the Space Race, and the fight for Women's Rights. These women increased airplane production in wartime and helped the US into space. There is so much, readergirlz. Read, reflect, and reach out. Girls love reading...and math.